Tasted from a 375ml bottle. Light golden in color. The nose is nice with pineapples, honey and bit of peach. Also some vanilla. On the palate, this is viscous and rich. Not cloying but a little goes a long way. Good acidity that cuts through the sweetness. The pineapple carries thru. Nice finish. Probably best on its own or with some cheeses at the end of a meal. This should last for a couple of decades. 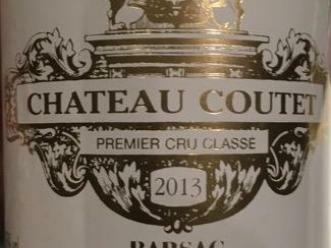 2001 was such a great vintage and the wines from Sauternes or Barsac are in a gorgeous place right now. Golden orange in color. The nose is beautiful with honey and apricots. Slightly sweet on the palate. Oranges and apricots with honey. Viscous with a nice backbone of acidity. Long finish. This is complex and layered and demands ones attention. The first sip tastes good, then evolves on the palate and just does not let go. Works great with blue cheese or a savory dessert. What a delicious wine. Golden in color. The nose has honey, quince and slight apricot. On the palate, this is viscous. Sweet but not overtly. Good acidity. Honey and slightly bitter apricot notes make it easy to drink a second glass. Long finish. Easily has a couple of decades left. Just delicious. 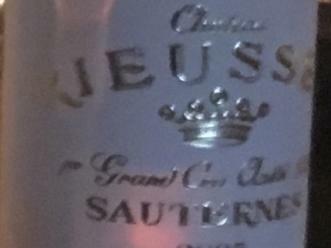 This is an inexpensive Sauternes that retails for around $20. That is a great value for a nice dessert wine. Light gold/green in color. The nose has apricots and slight honey. It has just a hint of sweetness. Some apricots on the palate. Nice acidity. A nice choice for large groups or just a nice finish to a meal. What a fantastic wine. Deep golden in color. Very pretty. On the nose, there is honey, sea air, and apricots. On the palate, this is very complex. Apple, honey, some citrus (almost a burnt sugar-ish citrus if that makes sense). With air, some creme brulee emerges. Long finish. This is sweet but not as sweet as I expected and no where near cloying. Good acidity. The wine has decades left. Golden in color. The nose has orange peel and honey. Just gorgeous. On the palate, this is amazing. The orange peel carries thru along with some orange and apricot. Great acidity that cuts thru the sweetness. It is sweet, just right. Complex and deep. Long, long finish. Drinking quite well right now, but no hurry. Just a lovely wine. Opened late in the evening (probably should have skipped it) but it was a nice treat. Drinking great right now. Golden in color, but not that dark for an 01 (purchased on release). The nose is gorgeous with apricots and honey and a bit of burnt sugar. On the palate, not quite as expressive but still quite nice. Burnt sugar and apricots carry thru. Viscous but not cloying. Sweet but not overtly. Ok acidity. Long finish. This was from a 375 and even in that format, has a long life left. From a 375ml bottle. This was very impressive. Drinking very well. Deep golden in color. The nose has honey and burnt orange peel. On the palate, this is sweet not cloying. Thick and unctuouos with good acidity. The burnt orange notes continue on the palate, also apricots and slight honey. Long finish. Impressive.